A recent discovery in a corn hybrid mutation could potentially provide a 50% increase in yield – that is if it can be translated into commercial production. Let’s start from the beginning. Dr. Dave Jackson was approached by a Russian corn breeder following his presentation at the Maize Genetics Conference in 1990 regarding a gene’s influence on stem cell control in corn. Jackson was told of a strange corn discovered in Russia with small ears and chaotic rows of kernels – suggesting a stem cell problem. At some point the mysterious corn made it into Jackson’s possession but never became a research priority – until recently. Several years ago, with attention focused on this mystery corn, a discovery was made. The corn was missing FEA3, a previously unknown gene, which led to the discovery of a new signaling pathway that regulated stem-cell production and controls how much corn the plant produces, according to a Modern Farmer article. This signaling comes from the outside of the plant, or as Jackson puts it, if brick and mortar sent messages to architects and builders. This discovery could lead to a 50% yield increase for farmers, if they can translate the findings into commercial production. “We can’t guarantee that when they go into an agricultural setting they’ll have the same increase,” Jackson says. For one, the test fields used feature control plants that aren’t the same varieties as the ones used for commercial production. Additionally, moving a discovery from a lab setting to the cornfield is rigorous and long. But that’s not stopping companies from trying. DuPont Pioneer, who was one of many to fund the research, has started to convert weak alleles into commercially-relevant hybrids, according to Dr. Bob Meeley, senior research manager. 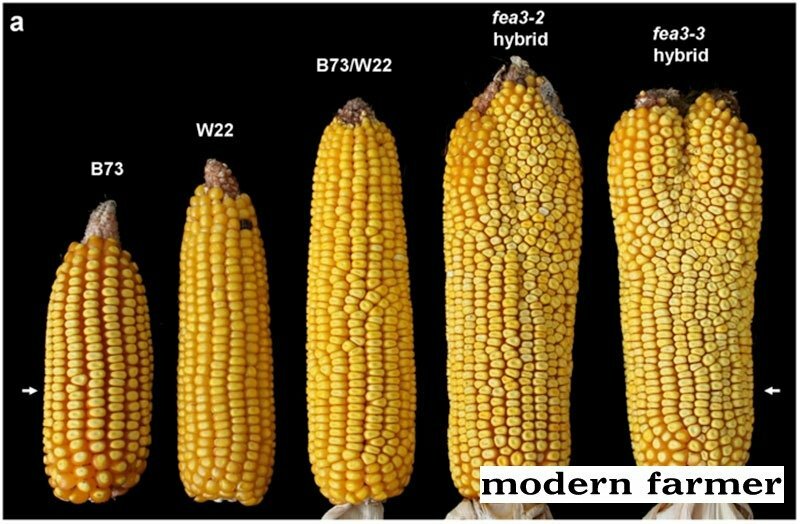 Though this discovery was made in corn, the knowledge can be applied to selectively breeding weak alleles of FEA3 in a variety of staple food crops. Read more about this exciting find in genetic hybrid mutation here.